Questions? Ask for a free proposal. 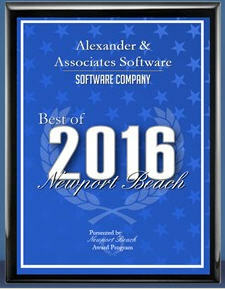 C. Alexander & Associates, Inc. was the first software company to develop Affirmative Action Plan Software for HR departments in 1985. The standard was set in making affirmative action easy, especially for users who have no or little experience with affirmative action planning. Thousands of clients are served throughout the United States who need to comply with OFCCP requirements. Clients are in Manufacturing, Healthcare, Technology, Finance, Research, Engineering, Consulting, Laywers, Banking, Universities, and Software. Each company may prepare multiple annual plans.